Transcript reposted here verbatim. Accuracy of the material not vouched for. Link to video and original posting. It’s a small sight amid Lake Champlain’s, but the tiny island Rock Dunder has a deep significance in Abenaki mythology. The legend begins with Oodzee-hozo, who Abenaki’s believe was an ancient being and creator. They believe he created himself but grew impatient and did not create himself legs. When he created the hills and mountains, he formed them with his hands. But when he created the rivers, he did so by dragging his body around. After everything was created, he was most proud of Lake Champlain. He wanted to be able to admire it forever, so he transformed himself into Rock Dunder so he could forever look upon his creation. The name “Dunder” has led to some speculation on the legend. Researches can’t seem to find a connection to the word and folklore. Some believe the name came from the old slang meaning of the word, which meant “stupid thing”. 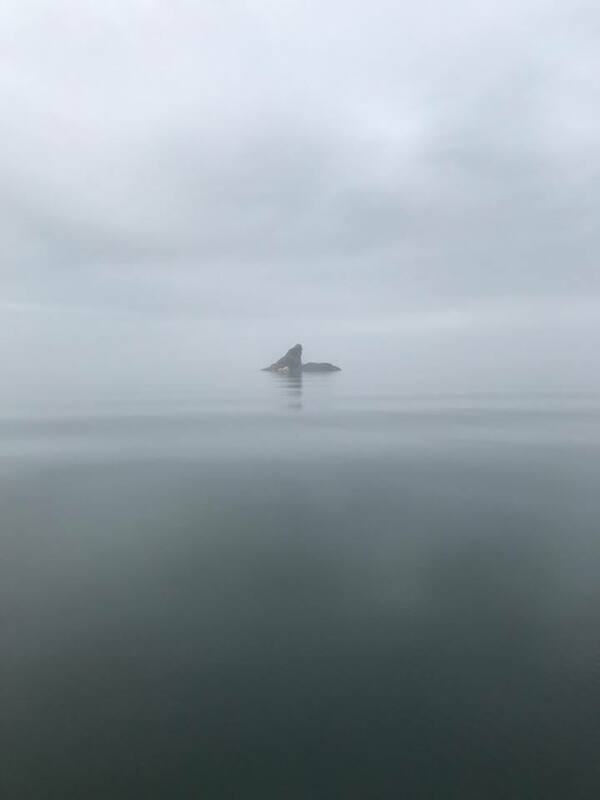 The rock is said to be in the middle of a shipping lane, and perhaps it was nicknamed that because of the nuisance it posed.